Ask an Aussie on the street if they’ve ever heard of a Nissan Silvia and they’ll most likely say yes. Ask an Aussie on the street if they’ve ever heard of a Nissan Gazelle and you’ll probably see a puzzled expression form on their face before their head shakes from side to side. But you have never been able to buy a car badged Silvia from an Australian Nissan showroom, and yet the Gazelle was officially sold here for several years. Effectively the Australian market version of the S12 Silvia – better known to North Americans as the 200SX – the Gazelle’s lineup was quite different. 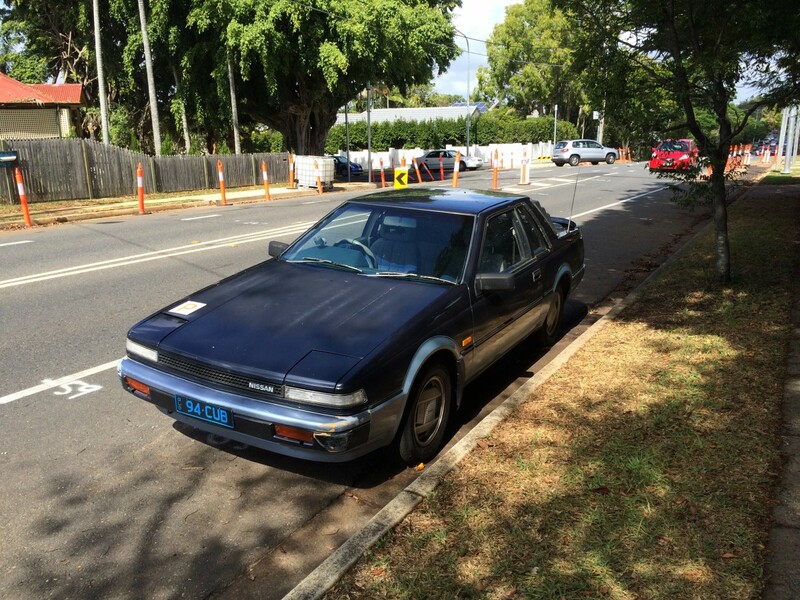 The S12 lives in the shadow of its S13 successor in Australia. That later model has only ever been available as a gray import but has achieved legendary status with young revheads. One would think the S12, also rear-wheel-drive and with the added bonus of having actually been sold in Nissan showrooms, would enjoy some kind of reputation here. Alas, the Gazelle seems to be almost forgotten. You can probably chalk that up to the powertrain. Gray import S13s are commonly equipped with turbocharged engines. The S12 Silvia/200SX was available in other markets with boosted engines, too. Nissan Australia, however, chose to import the Gazelle with only a naturally-aspirated, fuel-injected 2.0 four-cylinder. Considering this was the same mill available in the plebeian Pintara and Bluebird sedan and wagon, it wasn’t going to set land speed records. The four had 102 hp at 5200 rpm and 116 ft-lbs at 3200 rpm and was available with either a five-speed manual or four-speed automatic. Not every coupe buyer wants a firebreathing turbocharged engine. It sure is nice to have one available, though, like Holden did with the Piazza (Isuzu Impulse). 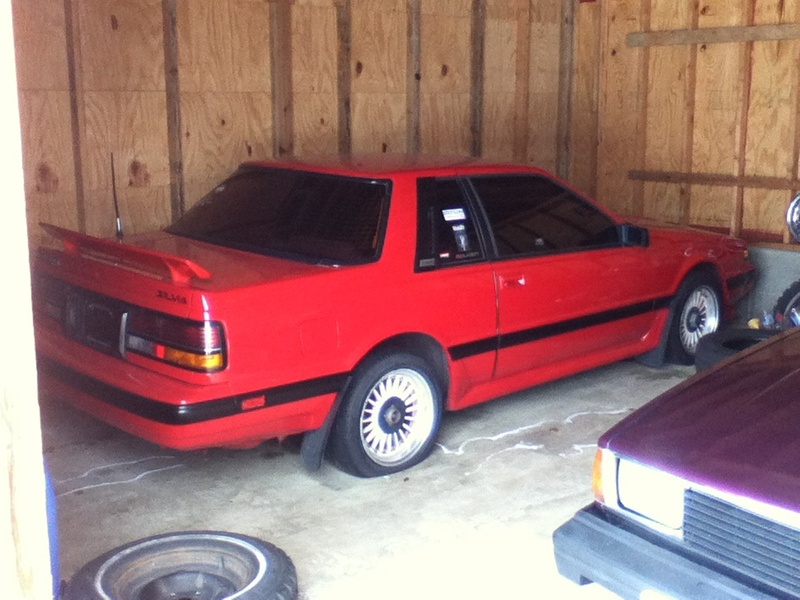 Or Mitsubishi did with the Starion. Or Mazda did with the MX-6. The Gazelle launched here with a relatively soft suspension tune, a live rear axle and rear drum brakes, a level of specification which came under criticism from local automotive journalists. Wheels, for example, savaged the Gazelle in a review titled “Lame Gazelle” in 1985 which opened with, “Nissan’s new coupe is more than just disappointing: it’s as unrefined as it is unsuitable for our roads.” Ouch. Interestingly, the Gazelle notchback coupe was positioned as the more premium of the two bodystyles with standard power windows and mirrors, alloy wheels, 6 speakers (instead of the hatchback’s 4) and cruise control. A power sunroof and power steering were only optional on the coupe; hatchbacks made do with a manual sunroof and there was no option of power steering or most of the other goodies available in the coupe. It was a curious marketing decision as, for example, the Celica hatchback vastly outsold the notchback. The hatchback Gazelle was also quite practical with a fold-down rear seat. 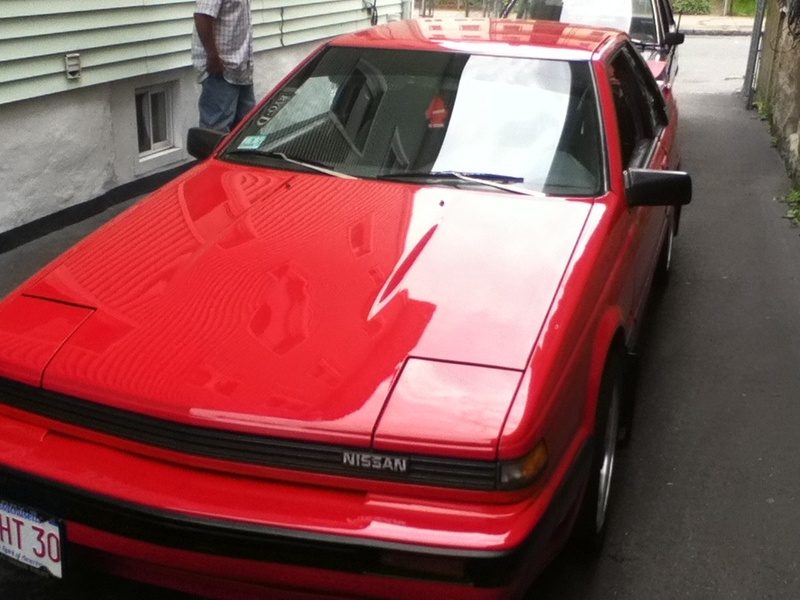 For 1986, Nissan made a series of mechanical revisions. Rear disc brakes were now standard along with an independent rear suspension that used semi-trailing arms, coil springs and an anti-roll bar; this suspension set-up had been available in JDM and USDM models from the beginning. Both transmissions also received revised gear ratios for snappier acceleration. Alas, there was still no turbo, nor a V6 as in the North American 200SX. But even though these 1986 revisions improved the Gazelle, that year saw the debut of Toyota’s fourth-generation Celica. The Gazelle was stylish in a 1980s origami way but the Celica heralded the 1990s with a rounded, aerodynamic body. It was front-wheel-drive but out-handled its rear-wheel-drive predecessor and had a choice of two four-cylinder engines, both with more power and torque than the Gazelle’s. While there was no available turbo, the Celica proved to be popular for a sport coupe: Toyota sold 4,275 in 1986, close to sales figures of mainstream Japanese small cars like the Mazda 323. After 1986, the notchback Gazelle was axed – IRS-equipped notchbacks becoming a one-year wonder – and a single hatchback model was available until the Gazelle was retired for 1989. While it was replaced in other markets by the S13 Silvia/180SX/240SX, Nissan Australia withdrew from the segment, opting to leave a gaping chasm between the Pulsar EXA/NX and the 300ZX. Despite a five-year run, the Gazelle was devoured in the sales race by the leonine Celica and today lives in the shadow of a car that was never officially sold here. I spotted this striking example on Brisbane’s northside and it’s owned by someone even younger than me. Everything looks stock. Although these may not be the quickest coupes around, I was genuinely excited to see one on the streets – it was my first sighting in years. 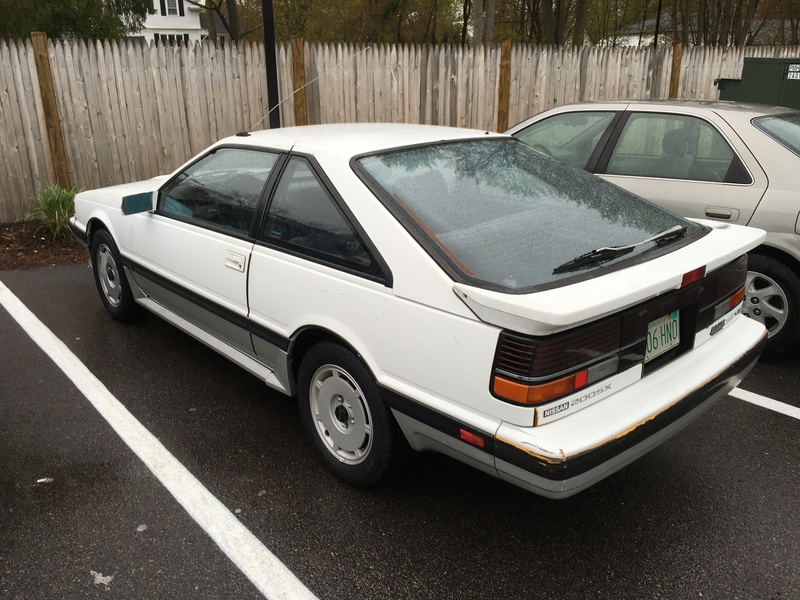 Curbside Classic: The Last Mitsubishi Cordia Still On The Street? I remember this car. Here in the USA, it was called the Nissan 200SX. It was available in two door coupe and two door fastback. I found the coupe more attractive of the two. Yep, 200SX here. A friend in high school got a well-used one to take to college; I remember it had the computerized voice that would inform you of things like “the door is ajar”. His was the coupe with the non-turbo four, but as he wasn’t a “car guy” I don’t think he cared too much. Neither the hatch nor the coupe is commonly seen anymore, but I feel like more hatchbacks have survived. Can’t remember the last time I saw a coupe. Here ya go, Chris… I have mine in storage. 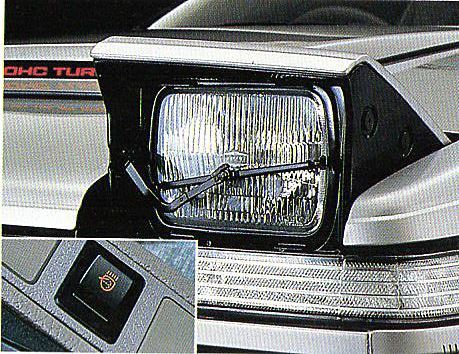 A reference book I have says this model was sold in the U.S. from 84 through 88. In 84 the optional turbo engined models had IRS and rear disc brakes, while the “normal” 4 cylinder models had a “live” rear end and rear drum brakes. In 85, perhaps to bring the specs of both models to the same level, the IRS/rear disc brake combo was added to all models. In 87, the turbo was replaced by the 300ZX’s V6 engine. It appears that Nissan in the U.S. tried to push the same marketing strategy as Nissan in Australia pushed. That is, for a time the notchback had a model called the LE that was the top trim level of the 200SX. We also got a convertible version of the 89-93 model. I wanted to buy one at one time but found that at 6 foot 4 I barely fit into the driver’s seat of a sunroof equipped model. For some strange reason, the S13 convertible continued into 1994, yet the coupe did not. Even more strangely, the convertible was automatic-only! In Japan, the S13 180SX stayed in production until…1998! The convertible was probably seen as appealing mostly to women, and maybe to middle aged men who wanted a reliable but sporty car. Of course, given the low numbers these sold in, it was probably considered to be an easier sale if equipped with an automatic transmission. As far as the U.S. 240SX convertible went, my guess is that Nissan looked at the sales projections and decided there wasn’t a business case for offering it with more than one powertrain (since that would entail more certification costs), so the automatic it was. The last RWD (A60) Celica was also offered with both a live axle and independent rear suspension, depending on the model. For Australias tiny market volume Nissan didnt want to stretch its parts supply for what was going to be a very low selling sporty model so the used the underwhelming Bluebird mechanicals. They should have used the more sporting parts but they didnt. In the UK this was known as the Silvia, and was highly rated in the press here. If I remember correctly I think it was What Car? Coupe Of The Year in the year of it’s release, but was soon surpassed by the fourth gen aero Celica, and then forgotten by the time the 200SX replaced it in 1989. It’s interesting how the Toyota AE86 is so sought-after today, yet the S12 is largely ignored. Having owned BOTH the S12 and AE86… I can tell you the S12 is a better drift car. The S12 has a close to perfect 50/50 weight distribution, the AE86 does not. The S12 comes close at 51/49. A buddy of mine had a 200SX, an ’84 he bought new. Unremarkable car, but very reliable. He put a ton of miles on that car. One of the LAST of the true RWD Datsuns, along with the 1984 Datsun 300zx, 1981-84 RWD 810 Maxima… Also, can add the 1980-85 720 pickups 2wd. 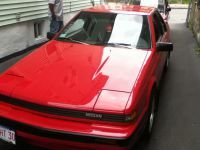 In 1984, it was the Nissan Datsun 200sx. My 87 200sx XE notchback is labeled Datsun everywhere. Gotta love the 8 spark plugs… Doesn’t give it more power, but according to Nissan, it made it more fuel efficient and offered better drivability. Just got the outside of my 87 200sx, painted and restored… Just needs a radiator, timing and interior work to be back in action. Very cool find! Can say I find the notchback bodystyle attractive, and the rear window louvres look very out of place. It looks somewhat like an GM N-body coupe, particularly the 1985 Grand Am. The fact that the notchback received a higher level of equipment than the fastback bodystyle is also odd, though I feel like a similar act has occurred before, I just cant seem to put my finger on it. I just experienced the “reverse CC effect” with this car. 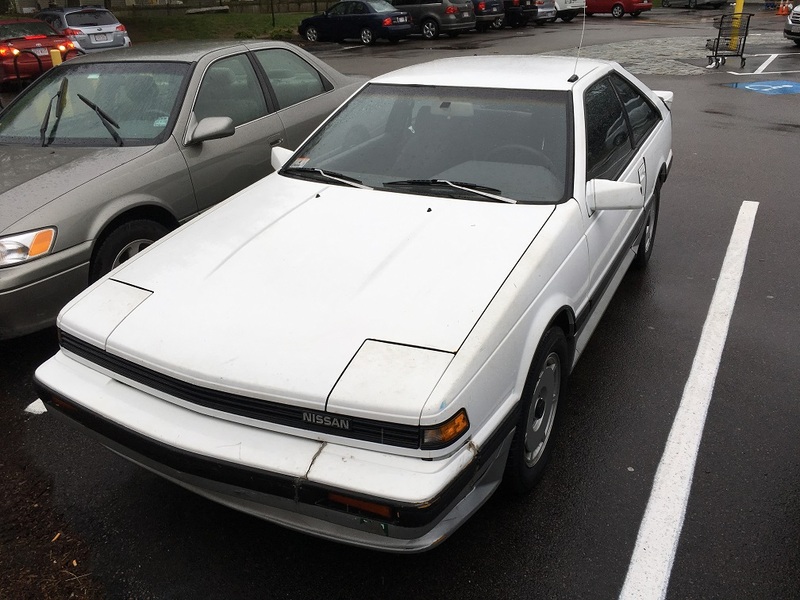 A few days ago I walked to a local market and spotted this 200sx in the parking lot, where normally one might see nothing but dark-colored upscale SUVs. Nothing says “one of these is not like the others” like a three decade old origami-styled Nissan sports coupe in white. The owner came out while I was gawking at the car and told me it’s a daily driver and it’s going to get some TLC this year. The interior is in great shape. We would have talked further but the rain started falling hard. I hope to see it again and get better pictures next time. Neat! Where in MA (I assume) did you find this? You can find out at the Boston-area CC meetup on Sunday July 10. It will be at the Bay State Antique Auto Club’s annual antique auto show, held at the Endicott Estate in Dedham. Exact time and place TBD. I had a soft soft for the Gazelle, but hey I was at uni at the time. Inferior to the Celica with the new S engine from the Corona, but it was fuel injected. I well remember the Lame Gazelle Wheels article, and the notchback was more expensive! The twin plug engine was a little quicker in the Series 3 Bluebird with a carb compared to the old Nissan mill going back to the Datsun 510/1600. Wheels comparo put it up against Celica, 929 with the new 626 engine and, rather unfairly, an Accord hatchback. Nissan was stuck with an auto, so it was denied a chance to win the 400metre race, fast in the gears though. How did they sell them through to the 90s? 2.4 injected Celica, turbo 929 and then revolutionary front wheel drive Celica still to come! Great article William. You’re here in Brisbane somewhere. The Gazelle is said to be the first car with retractable headlights to be equipped with headlight wipers. I prefer the coupe model with its pert, sporty appearance akin to the contemporary Mustang LX coupe. 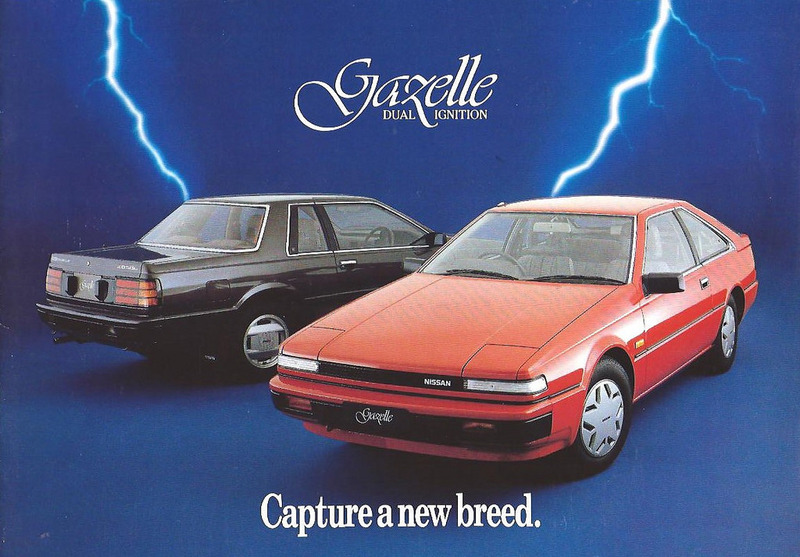 Interesting – the S12 was available in New Zealand badged as a Gazelle too, although we also got plenty of the JDM S12s as used imports through the 90s. It’s rare to see any S12 now, let alone a NZ-new one. I’ve no idea what spec our Gazelles were – although the few I’ve seen came with Silvia logos all over them, in contrast to the Gazelle badges. The Celica was the ‘it’ car here though too. PS – I remember that Wheels article well! Hi guys! Привет! 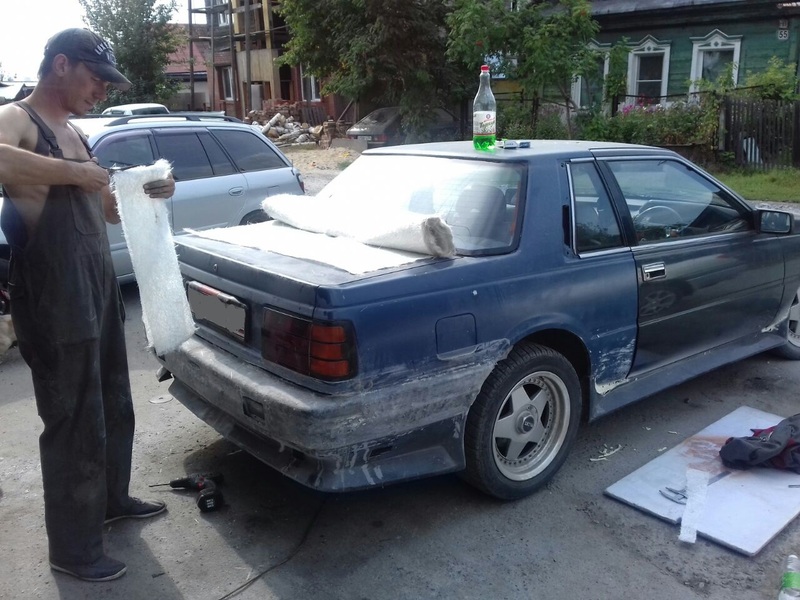 I`m living in Russia and i have Silvia S12 coupe. And i`m loving it more than my girlfrend:) swap RB25de. i was born in 1984. my car in 1983. i`m must say: it`s a very very good car! i`m trying to make it for better and better condition. in our town living more than 1500000 peoples. Only one S12 Silvia. Sorry for my bad english. Looks like you’ve gotten quite a lot done, and with the RB25 swap it must be fun to drive! Always fun to be the only one in town with a cool old car. Your English is actually pretty good, by the way.